With the excitement of buying a new home, it’s easy to forget some of the responsibilities that come with it. Once you move you’ve got a new phone line to sort, bills, insurance, not to mention bins, council tax and all the other bits and bobs that you’ll need to get in control of. To make your life slightly easier, here are a few important tasks to work your way through. Before you move out of your current premises, take meter readings and as you arrive at your new home, take meter readings. That’s all you really need to remember, best practice is to take photos on your phone, they’re usually dated and serve as good evidence. Once you move out of your original premises you will be expected to pay a final bill on your meter readings and likewise, the energy companies you choose to use next will be able to work out new bills for you by what you have previously been paying and how often you’re at home. Using Confused.com you can quickly and easily compare energy suppliers for your new home. Simply provide a few details about yourself and your new property and you can instantly compare, save and switch your gas and electricity supplier. You will need to alert your new/current council that you are moving. This will mean a final bill on the property you’re already living in followed by setting up a new account for your new home. If you are currently renting, you can just leave the property without paying a final bill, as it’s no longer your responsibility. Please note: You are responsible for council tax payments at your existing property, right up to the moment that you move out. Quite often you would have overpaid a month in advance and your council will then arrange for any credit to be refunded back to you. Sorting out a phone line and Internet can be one of the most stressful parts of a move, so it’s best to get it organised as soon as you can. If you are moving into a property that has been lived in for some time, the hard work is already done for you and there will be a live phone line to work with. If you’re moving into somewhere that has been inhabited for a while due to a renovation, you’re likely to have to start from the beginning. This helpful website: Broadband choices, helps you understand which process you need to go through with different providers. This might not have even crossed your mind if you’ve been renting or living with your parents for the last couple of years but home insurance is really important. Moving home often means leaving doors wide open while you transport your most precious belongings into your new and exciting home. 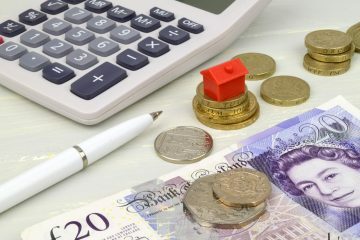 For this reason, and the future safety of your home, you need to make sure that your new premises is covered from day one, it doesn’t take long, you can do it online here: https://www.rac.co.uk/insurance/home-insurance.